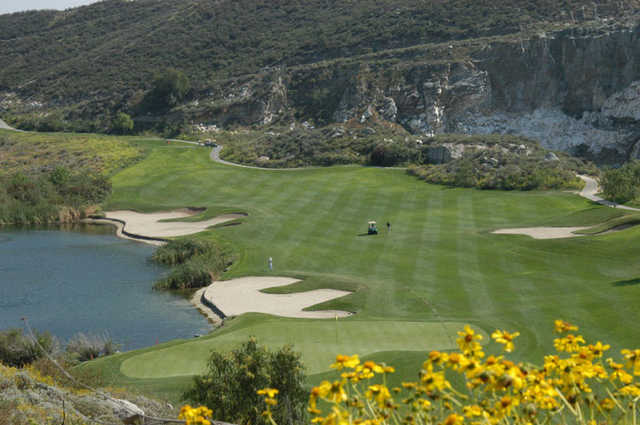 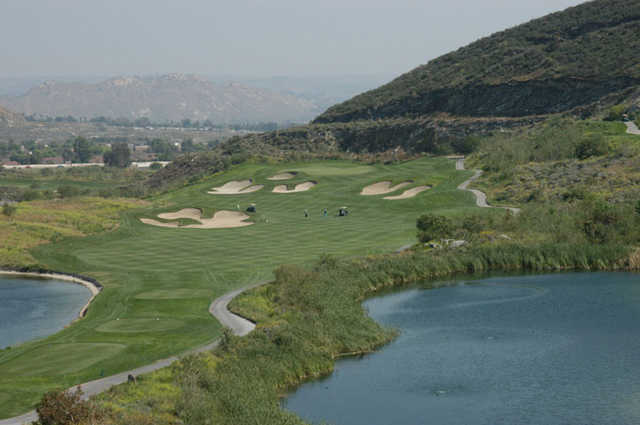 Oak Quarry Golf Club is a thrilling 18 hole championship golf course, masterfully designed by Dr. Gil Morgan/Schmidt-Curley Design.Majestically situated in the Jurupa Mountains, this picturesque course winds through the white-faced, jagged terrain of the renowned Jensen Quarry. 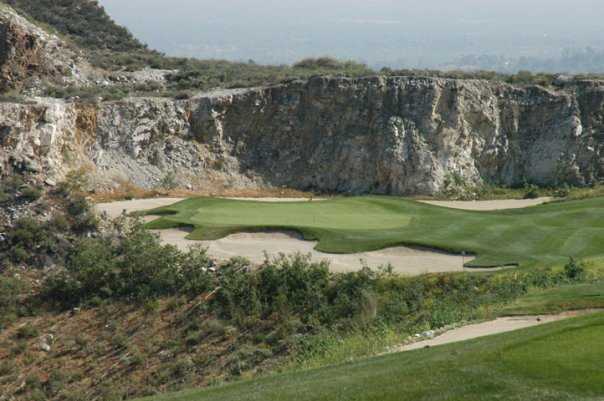 In its operating heyday, the Jensen Quarry supplied limestone, marble and 88 various minerals for the development and construction of roads, large buildings and private residences in the Los Angeles area. 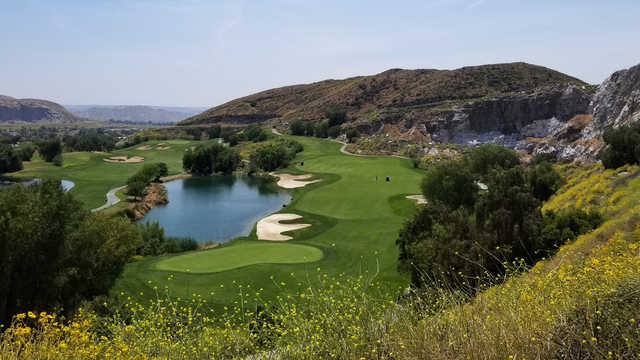 Today, the abandoned rock quarry, with its rich history dating back to the early 1900s, has been brought back to life for all to enjoy its place of prominence in Southern California folklore.